If you are interested in managing property investments, working with or on behalf of major financial institutions, then this is the course for you. It develops your understanding of property from an investment perspective by demonstrating how real estate can be compared to other forms of investment such as shares and gilts. You will develop strong financial expertise, which will enable you to work not only in the property sector but also in a wider financial role. This programme builds on the BSc Real Estate course with foundation studies (the first two years) being shared. In the final year your modules are focused on investment and finance subjects and addresses both the theoretical and practical aspects of real estate markets. You will undertake a number of applied investment and finance projects to develop analytical and key employment skills. After introducing the main concepts of corporate finance and their application to real estate markets, the module presents and analyzes the structuring, functioning and pricing of main financial products, such as REITs, derivatives and mortgage-backed securities. This module aims to enable students to develop their understanding of the concepts of investment strategy, portfolio selection and performance measurement and their application to property markets. It should help to develop further students'' analytic capacity. Upon completion of the module, students should have an understanding of key theoretical concepts in investment strategy, be able to appraise critically published work in the field and apply this knowledge to the analysis of practical real estate problems. The module covers core statistical and econometric topics and introduce quantitative concepts relevant to investment decisions. The aims of this module are to give student an understanding of quantitative methods and their application in the context of real estate. 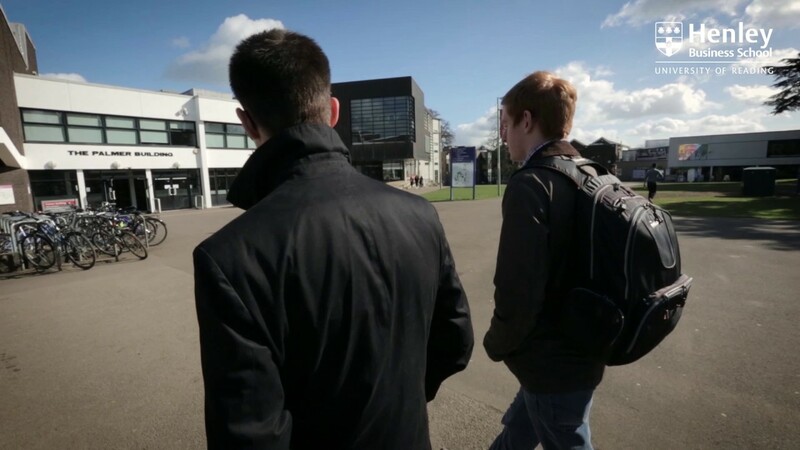 The investment and finance projects allow and encourage students to develop depth of understanding and analytic skills by researching, modelling, presenting and reporting upon a series of independent or linked research topics. The module aims to provide an application of the various concepts learned in RE3ISM and RE3FM to real-world investment decisions. This module will develop your understanding of the roles, methods and limitations of residential and commercial property valuations, and enhance your knowledge of the application of valuation theory to current practice problems and challenges in residential and commercial property markets. To sum up my experience at Reading; Real Estate students work as a team, have a great social life and know that what we learn is completely relevant to the industry we hope to join. Having spent three years at Reading it is evident how it gained its strong reputation as one of the leading institutions in the country to study Real Estate and Planning. The course teaches a wide variety of subjects over its duration starting with a good theoretical grounding and becoming more applied in later years. Students are also given the opportunity to learn many vital vocational skills which are crucial in today's competitive work place. The strong participation of staff in cutting edge research ensures that students are always kept at the forefront of new industry developments. The staff are also friendly and approachable and although the students are not spoon fed, lecturers are always willing to help and point you in the right direction. I chose Reading because of the reputation the Real Estate department has in providing the best education and career prospects in real estate. 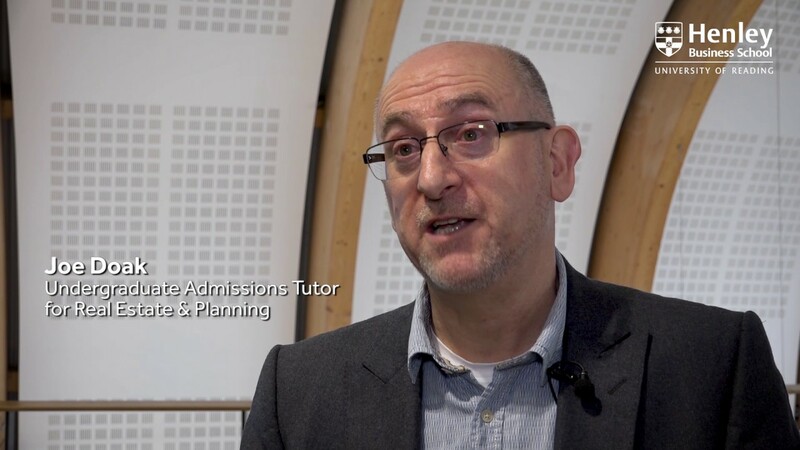 I wanted to do the course because it mixed different disciplines including economics and law, and because it was unapologetically 'about the real world', not abstract or irrelevant to people, places and the economy. In my 3rd year the sub-prime crisis happened and suddenly property finance took centre stage in the global recession. We got to see just how relevant the subject really is! The course was hard work, but genuinely really interesting. I got involved in the Reading Real Estate Foundation and we put on a ball and some other stuff including casual evenings with guest speakers. I was offered a job at DTZ in my third year, but deferred it to be a student for one more year, this time doing the same subject at Masters level at Cambridge University. I now work in corporate recovery for DTZ in London which is a great place to be. After three years of study I can honestly state that the outstanding reputation entrenched with the Reading name is justified. The course consistently challenges and develops students academically whilst enhancing important interpersonal characteristics such as communication and team working skills. The professionalism and exceptional support of the teaching staff provides great inspiration; furthermore the institution's sustained link with the industry keeps the department in touch whilst creating strong prospects for graduates. My time was most certainly a worthwhile experience.